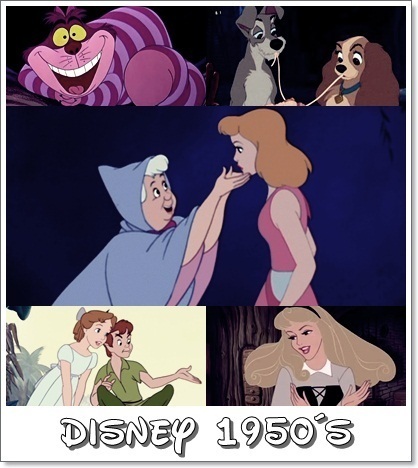 Disney Decades (1950's). . Wallpaper and background images in the Disney club tagged: disney movies classics cinderella. This Disney fan art contains anime, bande dessinée, manga, and dessin animé. Peter Pan and Sleeping Beauty are the best 1950's movies ever.